Hi everyone! I recently started to use Filipina Cupid and it seems to me that 90% of the girls that I've chatted with are scammers. They chat you up a bit, then give a sob story, and then ask for money. One girl said she was an airline stewardess and that she travels to LA quite a bit. The first day I started chatting with her, she said she was going to Vancouver and asked if I wanted to meet the next day. She then asked me for money for her fare and I was like, WTF? Don't you have free fare? She kept asking me to send her money through Paypal so that she can book. I already knew she was scamming me. I've also tried to sign up on DateinAsia but my profile kept getting rejected for some unknown reason. My question for you guys is what sites have you guys used and what have your experiences been like? I just want to meet a beautiful girl from the motherland. Dating sites are best for a quick hookup. It won't fail for that. But it's much easier to find a good woman just showing up in the PH and walking up to her physically and starting a conversation. 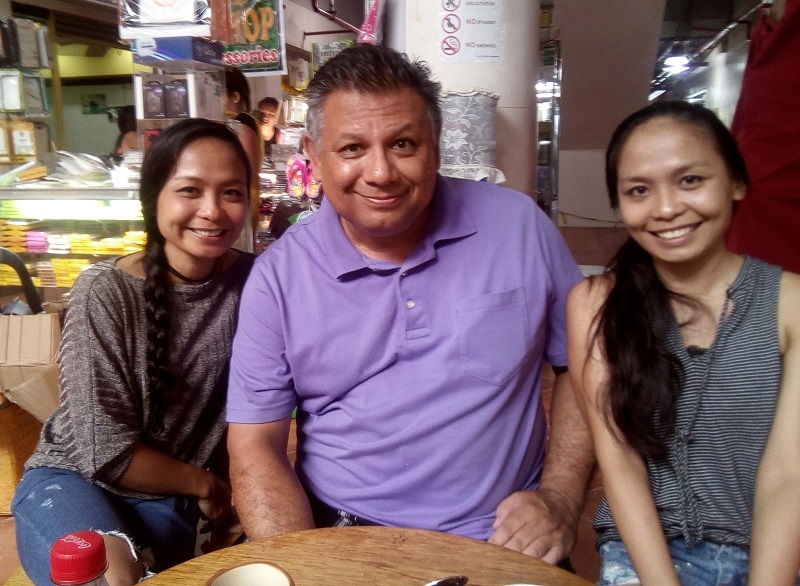 Just yesterday I walked up to a great looking Filipina and spent over an hour having coffee with her AND her twin sister. Really cool people. Very easy to meet women in the PH in real life. Dating sites are mainly for hookups. I now am grateful that I found Lea. I don't think I could have gone around dating in the Phills without knowing anyone. First the culture shock. Second I only had a 2 week vacation. Meeting Lea at the airport was a memorable experience that I think about often. Vacationed with her for 2 weeks in April 2015. Came back in October 2015 to visit and proposed. Married in January 2016. Took seven moths to get her Spousal Visa. In September 2016, I went back and went to her embassy interview and brought her home. My best friend, my love, my asawa ko Lea Camara. Thanks for the response guys! Nice pic of the twins Reekay! Saw the video of them. Yes, I do need to go there and just meet girls that way. In my assessment dating sites the world over are horrendously prone to scammers, regardless of country of origin or target audience. Dating sites are aimed at one thing - making money for those who start them! One could say the same thing about the many 'Russian' styled dating sites as well. Even so, conducting a relationship, or indeed sowing the seeds for one online (in any form) is plagued with danger and issues from the get-go. As we all know, a person can be (even with cam, voice calls etc) whoever they want to be online - and tell (and show) you only what they want you to know and see. Filipinas are very adapt at conversing online and working the field. No matter how innocent and shy she may appear, you can bet your sack she is not talking to only you and you alone. You would be a total fool to believe so. Even if you go there and meet for three months, this still does not tell you all about the person, it might give you a much better idea, but Filipinas have the upper hand here and they know it. Your in a country where (typically) you do not speak the lingo nor understand it, so you are immediately at a loss there. And things are very different in the Philippines to the way things are done in Western countries - so it is very easy to brush certain situations off as 'this is the way it is done in the Philippines' - it is a very easy and convenient get out of jail card for them and they know how to use it. Some (not all) Filipinas lack any essence of basic honesty and decency - they can and will lie directly to your face. For some it is just a game to find the foreigner with the biggest bank account and the smallest brain. Tread carefully on dating sites.